The Honourable Bob Nault, Member of Parliament (Kenora riding) has announced over $115,000 to support accessibility through the small projects component of the Enabling Accessibility Fund (EAF). Funding to Lake of the Woods District Hospital, Wabaseemoong Independent Nations, Kiizhik Education Corp. The Honourable Bob Nault, Member of Parliament in the Kenora riding has announced over $115,000 to support accessibility through the small projects component of the Enabling Accessibility Fund (EAF). "The EAF is working to break down barriers which prevent persons with disabilities from fully participating in all aspects of Canadian society," said Nault in a written release. "The projects announced today will help ensure all Northerners have equal opportunities." 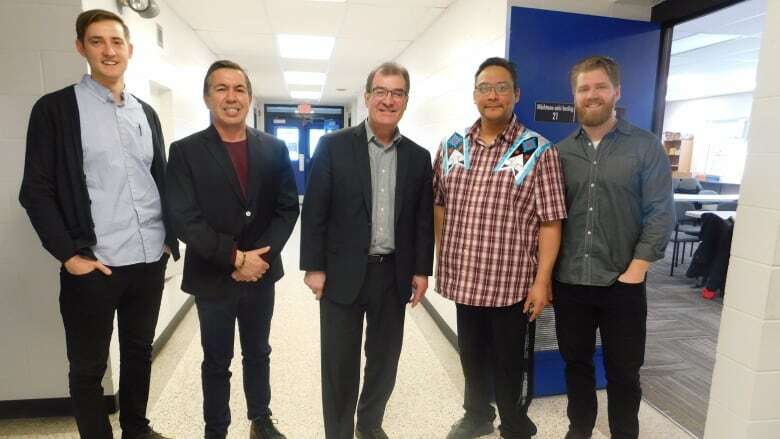 Funding includes $52,516 for accessibility upgrades at Kiizhik Education Corporation; $48,411 to Lake of the Woods District Hospital for making the training centre more accessible and $18,089 to Wabaseemoong Independent Nations for the accessibility upgrades at their resource centre. According to Tuesday's release, the 2018 EAF funding for small projects helps eligible organizations with up to $100,000 per project under two funding streams: Community Accessibility and Workplace Accessibility. The Community Accessibility stream provides funding for projects that help improve accessibility and safety through renovations, retrofits or construction of community facilities and venues so that programs and services can be accessed by persons with disabilities. The EAF provides funding for projects which increase accessibility and safety for persons with disabilities in communities and workplaces across Canada. Projects approved for funding create more opportunities for those with disabilities to participate in community activities and to access programs or employment opportunities. "Providing support to help persons with disabilities access their communities and workplaces is a key part of the Government's plan to create a more inclusive and accessible North," said Nault.